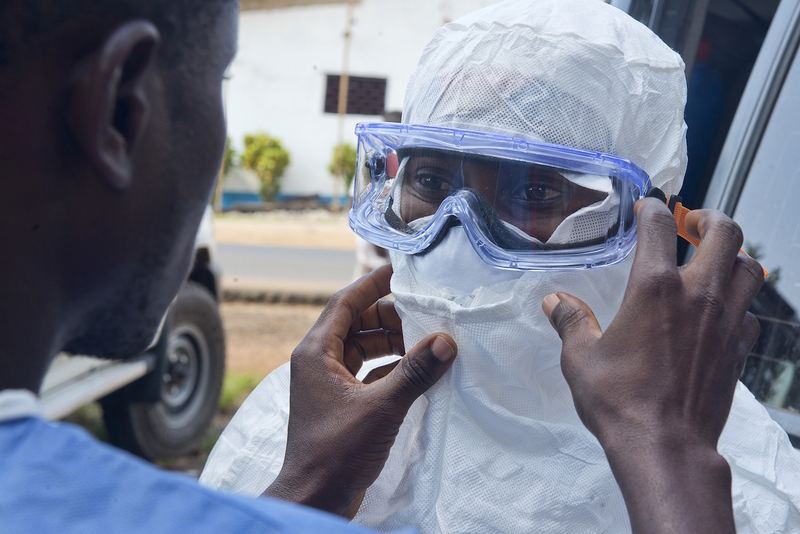 In many of the photographs taken by Victor Lacken during the outbreak of Ebola virus disease in 2014 and 2015, the faces of his subjects are obscured by masks and goggles, their bodies covered head-to-toe in protective gear. Despite this protective gear, which obscures even the slightest facial expression, Lacken’s photographs were able to capture a sense of the humanity of the person within: the sense of strain and fatigue under the sweltering outfits, the pride and defiance showing through, despite the stigmas associated with the work. 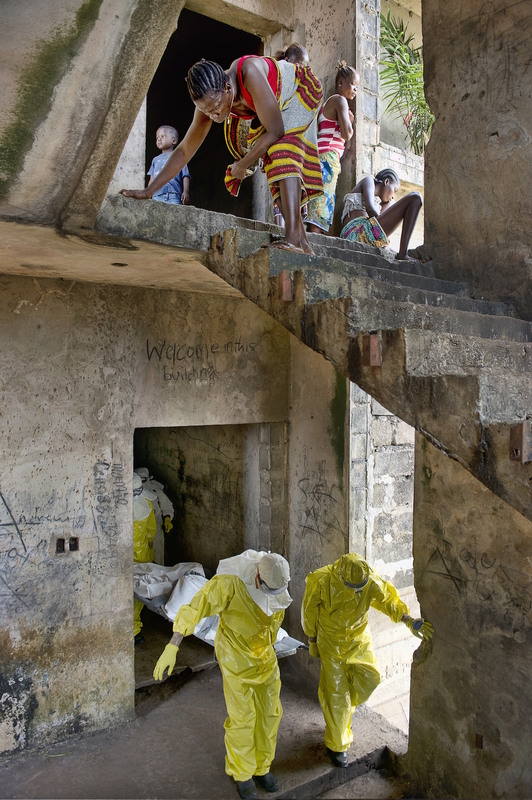 Late last year, Lacken received the AidEx Photojournalism Award for photos taken over four months with members of the Liberian Red Cross Society’s Safe and Dignified Burials team. 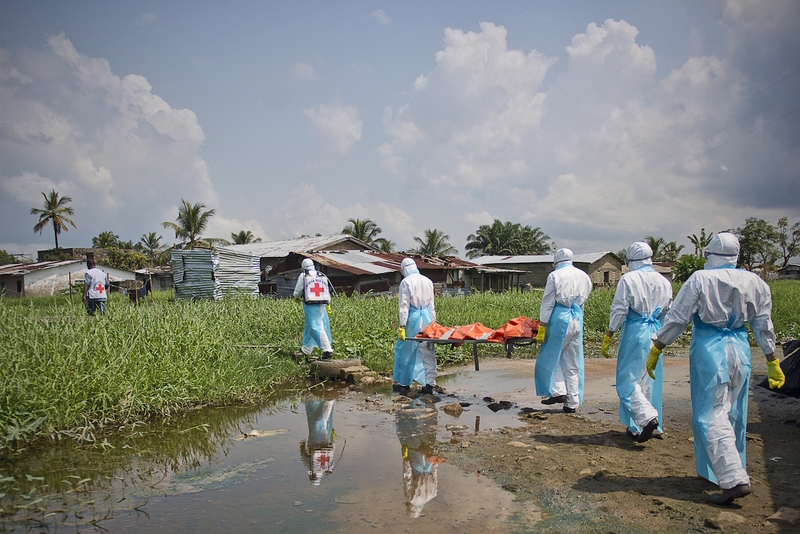 The photos tell a story of personal courage and of the absolute necessity of a locally based humanitarian response, backed by international solidarity. Once inside their protective clothing, only their eyes are visible. 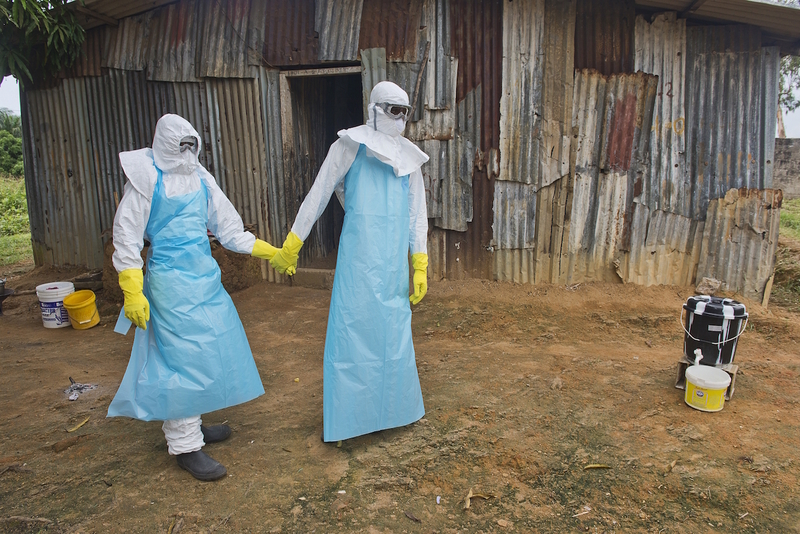 Here, a member of a Safe and Dignified Burials team gets suited up with help from a fellow team member. “When I take a photo I am constantly moving to find that best angle, such as the reflection in the water in this photo,” says Lacken.